Every New Year we set off with a bucket list of things we need to accomplish in order to grow as people, better our health, or a set of goals we want to achieve in order to climb that career ladder. And every year it seems to start off the same way. Rush into our daily lives, rush to work, rush to school, rush to get the work done, chug down our lunch, and rush to catch up on things we just don't get to. Then it's a rush home, pick up the kids, rush to get dinner done, kids bathed, catch up on emails, reading, writing, rush the kids to bed, pass out in front of our TV trying to catch up on programs we missed out. The rushing effect seems to increase each year too! The urgency to be perfect will ruin you. It's a bad habit that leaves you stressed out, it's a mismanagement of our precious time that could be spent on the priceless things in life like the kids, your partner, the sunset, the goodness of your food. Trust me, rushing only leads to great opportunities being looked over. We don't want to live like this, feeling like we're rushing towards our own graves. Well! This year I said NO to the Rush; that it is okay to miss out on things, you won't die from it, but I might just die missing out on life around me. 2014, I vowed to drive under the speed limit and take in the scenery; to smile more, to relax and breathe. I have been amazed at the effects. Not only do I get to work less tired, I have more patience for other things I never get to appreciate. With this attitude I seem to get things done, sometimes it might be a little late - and that is okay with me. I know it has been done with appreciation and no regrets. 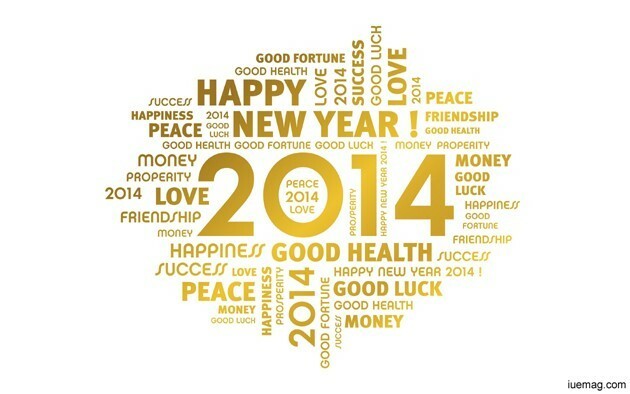 2014 is the year of life, love, smiles and appreciation.